With my many years as a Litigation and Trial Lawyer, I have the experience you want. I am proud to say that I concentrate in three areas of law, including Personal Injury law, Criminal Defense law and representation of families who have a loved one in need of involuntary assessment, stabilization and treatment due to an addiction to drugs or alcohol, under Florida's Marchman Act. I have extensive experience working with the legal system, medical profession and insurance companies to get the best results for my clients. I am not like other law firms that have multiple attorneys, I work independently and handle all the work on all of my cases. In addition, I make sure my clients have access to me either during office hours or through my personal cell phone. I not only bring extensive experience to each client, but I build the one on one relationship with them they want and deserve. 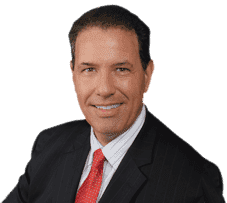 Even though you have known me for years as your Personal Injury Lawyer, I am proud to add Criminal Defense and the Marchman Act to my areas of practice, and look forward to helping you.